An experiment at deconstructing a typical corner terrace house in Singapore for a multi-tiered family. The design rigour essentially stems from retaining the old structure whilst expanding a design language that respects the original context and architectural grain in the private 1970s landed housing estate. 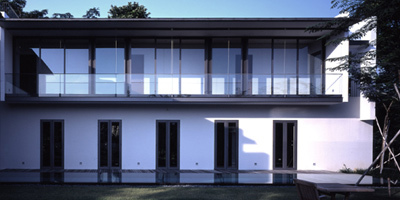 An exercise at increasing the bulk of an existing villa with a facade update in an old private estate. The family house dissects the living patterns of every individual in the household to reconfigure a new layout with age old habits.